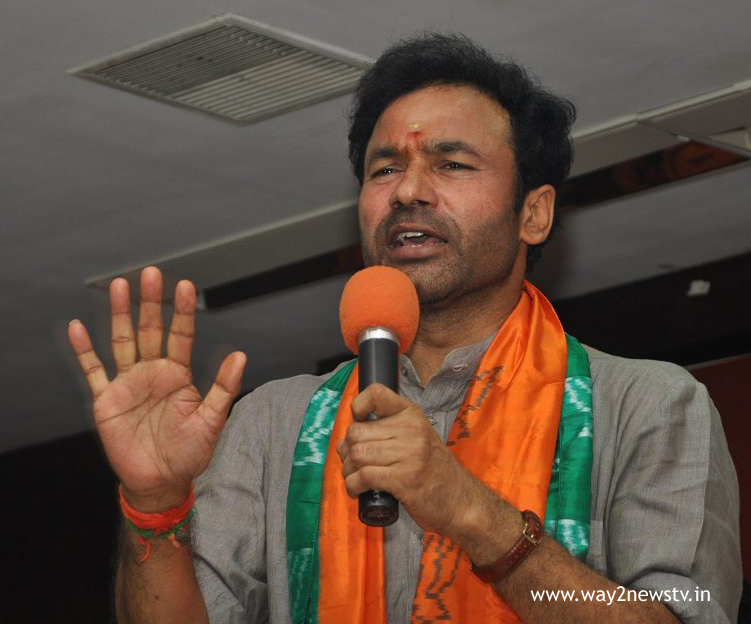 BJP Legislative Party leader Kishan Reddy criticized the CPI (M) 's national houses to end the Prime Minister and BJP. On Monday he spoke to the media. The CPI (M) said it was an evidence of the bankruptcy of the CPI (M) to decide to work with the Congress in Hyderabad. That party ... said the BJP was compared to Kauravas. 'Can you create a coalition with smaller parties and cut you into caste, religion and language? Is Bharatiya Janata Party working with national concept theory for the country? He asked. People are rejecting the CPM party, so it is not clear how the party will think of the Pandavas. Kisan Reddy criticized the CPI (M) 's party in the state on the day of its existence in West Bengal. He said the BJP is in second place and the CPM is in third place. Kishan Reddy expressed hope that the BJP would come to power when elections were held in Kerala. They did not address the Congress party on the occasion of the National Sessions. He said that Communists were looking forward to direction in the houses in Hyderabad. The CPM is responsible for the Congress party's rule from independence. He said that the CPI (M) is a partisan or corrupt in the UPA. The CPM split into two ... the Sabhas held .. the BJP scolding is the insult of the Indian people. People decide which party will work for the country. Spoke about religions. There are no religious conflicts in four years. It is possible that the CPI (M) If the CPM party is courageous, Modi should prove the corruption. The CPI (M) No one was going through it, no one told the bullet that people knew that no one was murdered. CPM is fighting for existence.